below, its equivalent in Preuilly. A la cuisine hier: Sweet Chilli Sauce, made with chillies from Colin and Elizabeth's garden. We visited them recently and helped them out with their glut of chillies by taking a bag full. I made two batches of the sauce just to refine the consistency and flavour. It's fairly pokey. Au jardin hier: I finished planting the onions and have sown half a row of peas. I'm extremely dubious about the peas and fully expect to be providing a tasty feast for the resident rodents. However, the Aged One tells me I should be planting them now. A bed has been prepared for broad beans, but I need to go and buy some seeds. 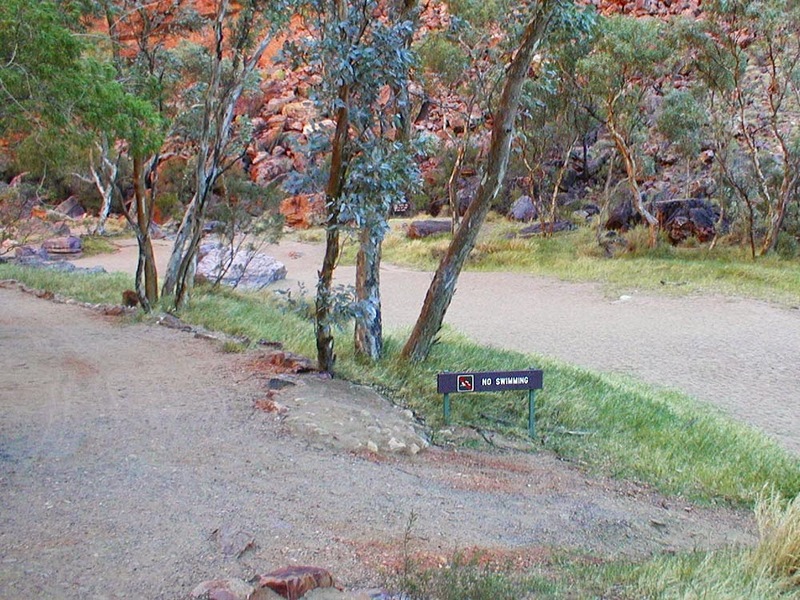 Like the more famous Todd River which runs through Alice Springs, this river at nearby Simpsons Gap is ephemeral. On the rare and brief occasions when it does flow it is dangerous, rising to fill within minutes and carrying a heavy silt load and much swirling debris. Recently I bought a whole Atlantic salmon. It was priced at €5 / kg and weighed in at a smidge under 3 kg, so it cost me about €14.50. A while ago we acquired a fish kettle, kind of by accident. It sits on top of one of the kitchen cupboards and I hadn't previously used it. Whilst I love salmon, Simon thinks it is boring, so I wanted to cook the salmon and break it up into portions that I could freeze, then use just for me if he didn't want to eat it. I thought what better way to do that than in the fish kettle. My salmon came scaled and gutted by the supemarket fishmonger, but it still had its gills. I cut these out with scissors because I had read that they can make the flesh bitter. I also trimmed the tail with the scissors, as the fish was slightly too long for the kettle. Then I added aromatics -- chunks of leek, quarters of lemon, crushed black peppercorns, lots of salt, a couple of bay leaves and a small glug of a friend's homemade rosé wine which has rather unfortunately turned to vinegar. I put the kettle over two gas burners and filled it up with water. Once it was properly boiling I turned it off and allowed the fish to sit in the liquid until cool. Then I lifted it out, took off the skin, removed the flesh, checked it for bones and divided it up into 200 g lots. 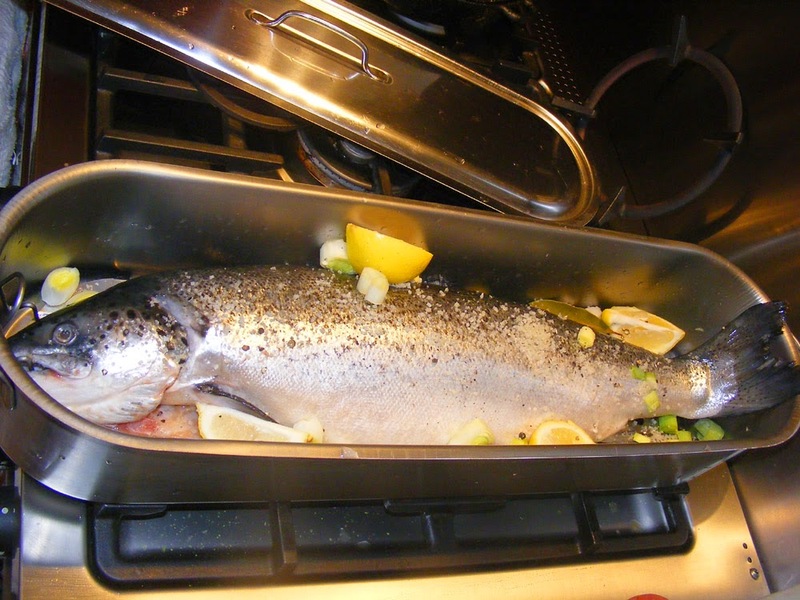 The yield was 1.5 kg of cooked salmon meat. So far I've used one portion to make a sort of Nicoise salad for two with a very lemony dressing and it was good. 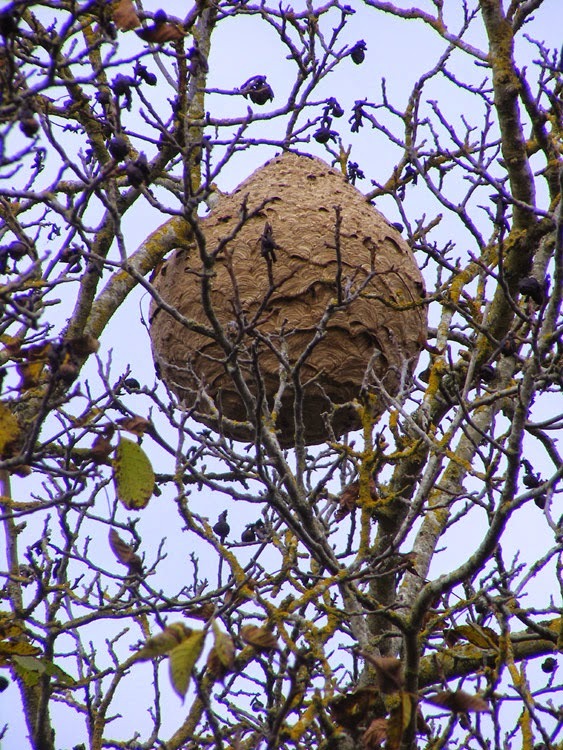 Update to Previous Post: I've updated the Humungeous Hornets Nest post as the nest has featured in the local paper. Go to the post to read my translation of the article and there is a link to a related post on Chris Luck's blog. A la cuisine hier: Walnut Treacle Tart made from homegrown walnuts. The mixture escaped but luckily didn't burn and we got to eat lots of treacley goo off the oven tray. This dessert was only made possible by the kindness of various British friends who keep us supplied with golden syrup and black treacle amongst other things. There is no French equivalent for either, although you can sometimes buy golden syrup in the supermarket here these days. Sablés, from the leftover sweet shortcrust pastry. Simon loved them and scoffed most of them before dinner. The smallest bat species here, such as Pipistrelle Pipistrellus spp and Lesser Horseshoe Rhinolophus hipposideros, weigh between 5 and 8 grams during the summer. They only need to put on a couple of grams of fat and they are ready for hibernation! By this time of the year they are tucked away in their hibernation site (although warm dry nights may still tempt them out). Lesser Horseshoes stay in hibernation from October to April, much longer than Pipistrelles, who don't get serious about hibernating until November and emerge as early as February if the weather is good. Their tiny size is why it is so important not to disturb them while hibernating. A single awakening could lose them enough energy that they don't make it to spring. 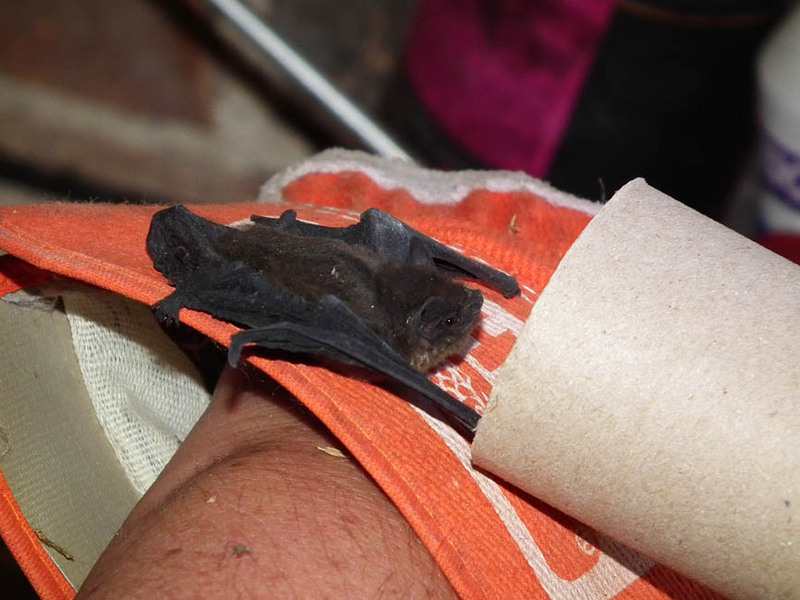 A downed Pipistrelle in our garage, not taking the hint to move into the nice safe toilet roll tube I am offering it. I'm wearing gloves because it is potentially not safe to handle bats with bare hands as they can carry serious diseases which can affect humans. Bats have a dilemma though as they work to bulk up for the big sleep. They can't afford to get too fat or they risk being too heavy to fly. Both Pipistrelles and Horseshoes are exclusively insectivores. During summer they catch and consume as many as 3000 insects a night (I saw a calculation that worked out that this is the equivalent of a human eating 50 pizzas in a night), but during hibernation they wake only occasionally, if at all, to eat or drink. There are fewer insects around, so they conserve energy by hibernating. It's a delicate balancing act, putting on just enough weight to get through the winter. This is one of the reasons bats often roost socially -- they help keep each other warm. Roosting sites, which are used during the summer, can be tree hollows, rock crevices and all sorts of nooks and crannies in buildings (behind shutters and render which has partially detached from the wall are favourite places for Pipistrelles especially). 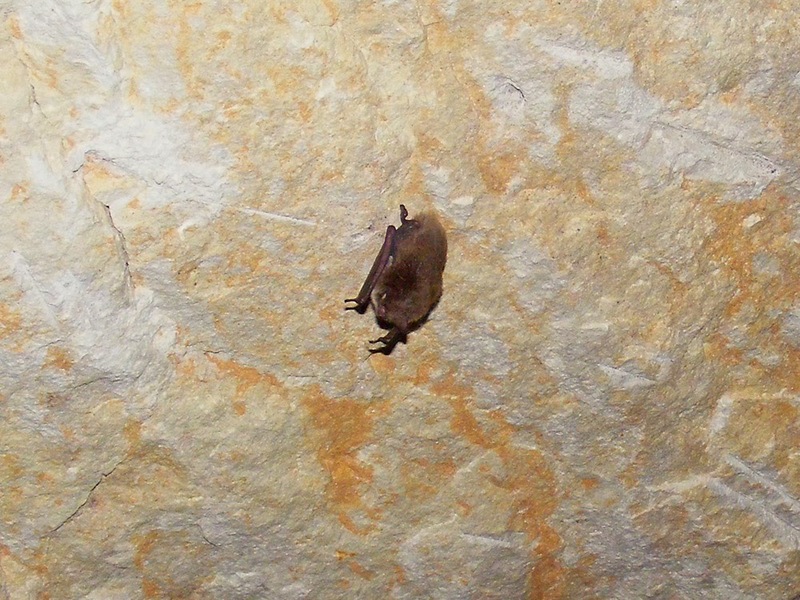 A hibernating Lesser Horseshoe in an old underground limestone quarry. Horseshoes are easy to recognise because of their habit of wrapping themselves up in their wings. The hibernation sites here (as opposed to summer roosts) are generally abandoned limestone quarries, known as caves. They have stable low temperatures and constant relative humidity. In such places bats can safely enter a state of torpor where they lower their body temperature, slow their breathing and reduce their metabolic rate. By the time they emerge in the spring they will have lost half their body weight. A small brown bat which I think is a Pipistrelle, but could be something else. These little bats are about the size of a teabag, with a wingspan of about 20 cm. They live on average about 5 years but can live to 15 or so. The locals are quite tolerant of them, often recognising the sterling service they provide in terms of eating mosquitoes and midges. 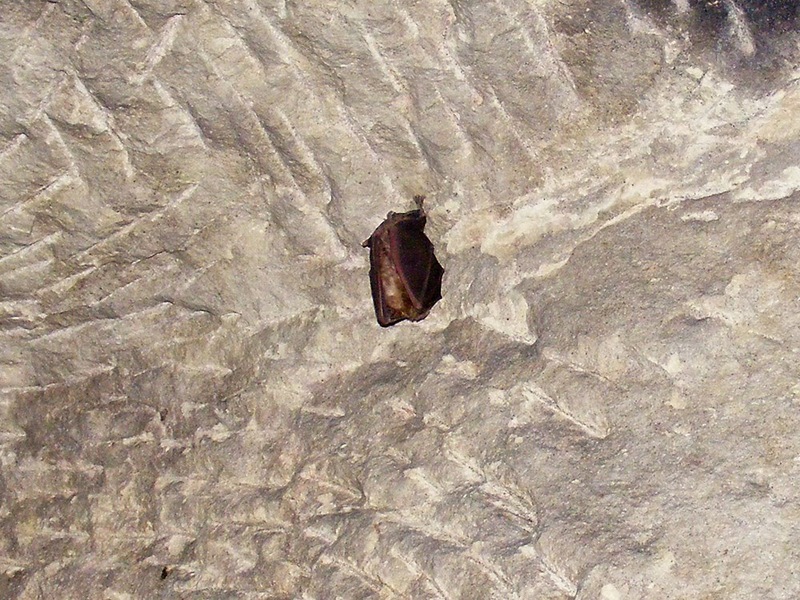 All bats are protected species in France. Nevertheless life is fairly tough for them here. Modern agriculture and its intensive use of insecticides is reducing their larder, and the many domestic and feral cats make their life a misery if they choose to roost in buildings or hunt near human habitation. 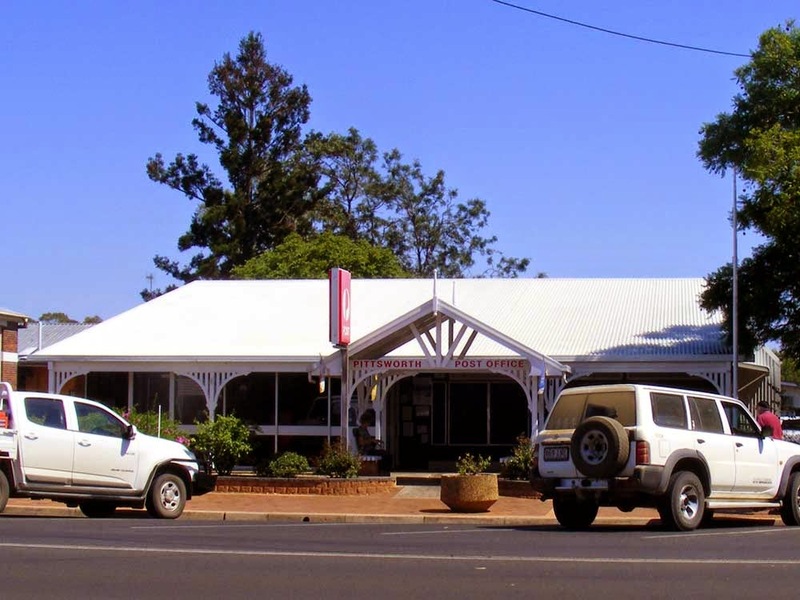 Fewer and fewer roosting spaces are available in buildings as people renovate and fill gaps, block holes and renew blown render. Common treatments for woodworm in rafters and beams can have the unintended side effect of also poisoning roosting bats, even years after the treatment was administered. Bats like to follow linear features when hunting, and the loss of hedgerows in the countryside as fields get amalgamated to facilitate larger and larger machinery has affected the hunting success of the Lesser Horseshoe bats in particular. A Pipistrelle flying over our garden. A la cuisine hier: Nutcracking. Honestly, this is the most tedious task in the kitchen that I can think of, with the exception of peeling chestnuts. Walnuts are alright -- they are large and I never have a huge crop of them as our trees are still young. Hazelnuts on the other hand are always abundant, and about one shell in three is empty, even after culling all those with weevil holes and those that don't come away from their husks cleanly, as these are always empty. Their small size means they don't work with many commercial nutcrackers and you risk getting your fingers pinched. This year I resorted to holding the base of the nut steady in some pliers and whacking them smartly on the tip with the meat mallet. Still took hours and some nuts were still fiddly. Warted Amanita Amanita strobiliformis (Fr. Amanite solitaire). This one caused Jean to exclaim with delight, partly because it was a perfect specimen, partly because the species is rare. It is found in forests, oak woods, hornbeam woods on calcareous soil. It is a large white mushroom with flakes on the cap like many Amanita spp have (the most famous is the Fly Agaric). The stem is thick and bulbous. Jean assures me it is very tasty and perfectly edible. However, further reading suggests that not only does it share the Fly Agaric's flaky top, it possibly contains the same hallucinogenic chemicals. Therefore, despite Jean's enthusiasm, I will not be eating it. Ivory Funnel Clitocybe dealbata (Fr. Clitocybe blanchi). This species is widespread and common, appearing in lawns, meadows and pelouses (short calcareous grassland). It is a small white mushroom that forms fairy rings. It is very toxic, potentially deadly and its nickname is the sweating mushroom because of the symptoms that very quickly develop (within half an hour) if it is ingested. The specific antidote to the poison muscarine that the mushroom contains is atropine -- so that's OK then -- if I accidently poison myself I'll just take a swig of Simon's eye drops that give him funny dreams or chew on the nearest Thornapple Datura stromonium, which is a terrible weed here. Weeping Bolete Suillus granulatus (Fr. 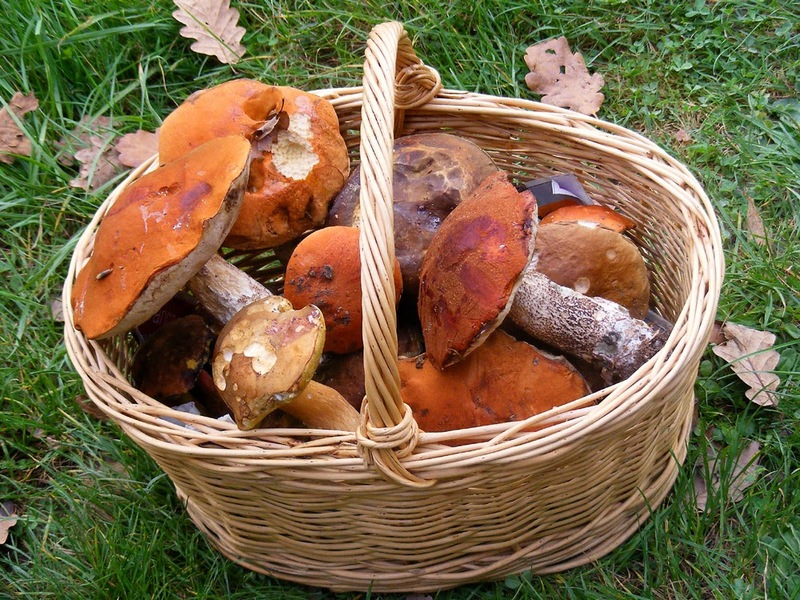 Bolete granulé). 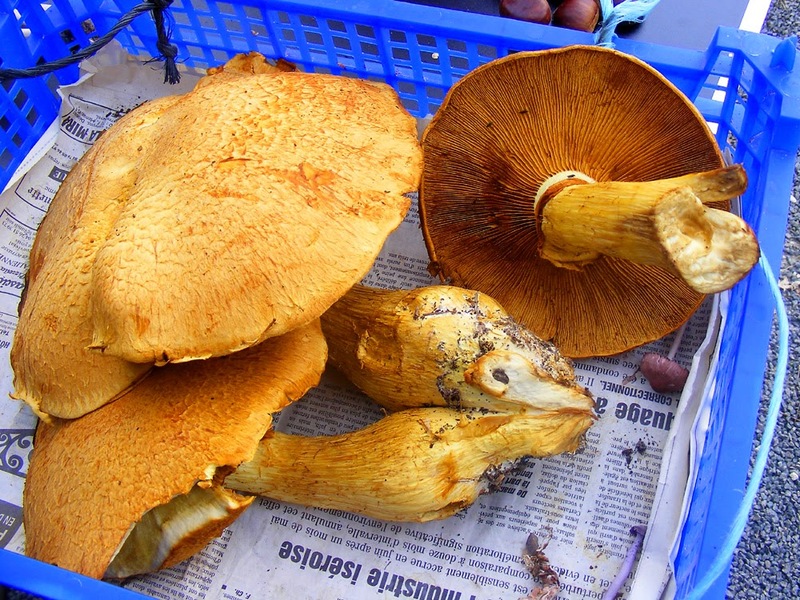 This mushroom grows in association with pines and is edible with the proviso that you are best to wipe off the slimy coating on the cap, as it has a laxative effect. The pores will produce milky droplets when fresh and removing the pores before cooking is also recommended. Neither the pores nor the flesh stains when damaged or cut. 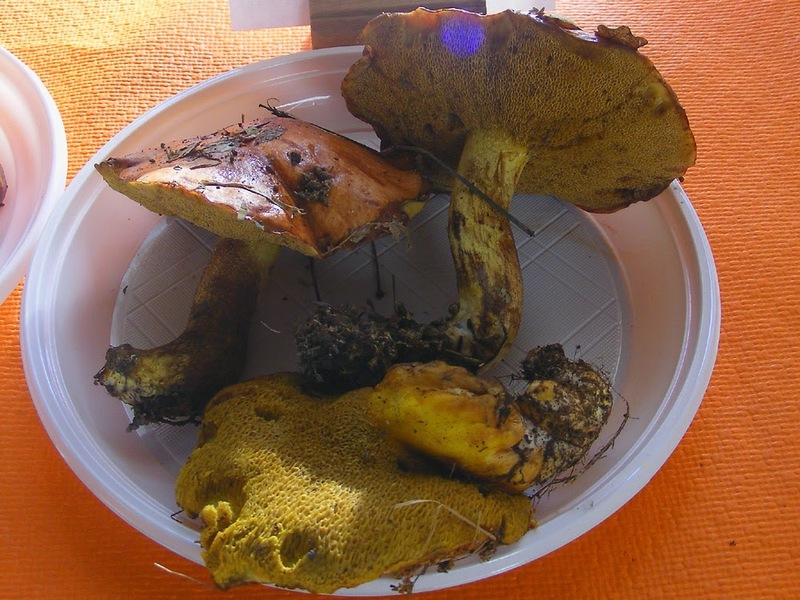 It is the most common of the Suillus species that grow in a symbiotic relationship with pine trees and can be included in commercially available wild mushroom products. Apparently handling it can make some people come out in a rash. The station at Tours has a series of 18 painted ceramic panels decorating the walls. Their purpose is to beautify the station concourse and entice travellers to the destinations portrayed. At present the panels are badly in need of conservation and a crowd-funding campaign is underway to raise the money to save them. Each panel will cost €8000 to clean, conserve and reattach the tiles to the walls. You can see a small test patch on this panel where conservators have cleaned to see what the effect will be. To learn more about the restoration fund and the panels themselves go to Ulule Gare Tours (in French). We thought that it might be fun to show one of the panels every now and then, with the timetable information for how one gets there from Tours today. Azay le Rideau is a simple half hour journey from Tours. 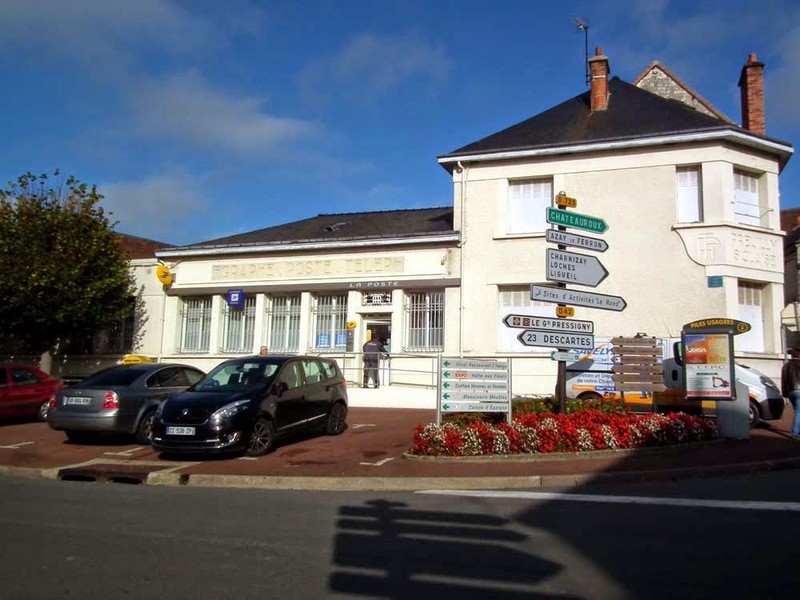 The station is on the outskirts of this attractive village, and it is a walk of 2 km to the centre of the village to get to the lovely chateau from the station. Update: The City of Tours announced today that it would fund the restoration of a panel and has chosen this one. Parmesan cheese smells of vomit. It actually does, and especially the ready-grated stuff. That's because the two things share some volatile chemicals that create aroma. However, even though smell and taste are inextricably linked, the human brain, a master of cognitive dissonance, is perfectly happy to focus on the delicious savoury umami taste and very few people dislike parmesan cheese. The British like it so much that the Italians can't believe how much they use -- more is consumed in Britain than in Italy. It's not the only cheese that has a pungent pong either, as anyone who has taken a Pont l'Eveque home in their suitcase after their holiday in Normandy will know (ahem...). Quite a few highly prized cheeses share volatiles with stinky feet. Whether you eat and enjoy them or not is a matter of exposure to them ie whether you are used to them or not. About a fifth of people of northern European origin utterly loathe coriander leaf (known to you by its Spanish name cilantro if you are from the US). I remember being told years ago that the Vietnamese word for coriander was the same as their word for stink bug. I've been unable to verify that, but I have discovered that the word coriander itself comes from an ancient Greek word for stinking bug and that the ancient Greeks were very familiar with the herb (and, undoubtedly, stinking bugs...). 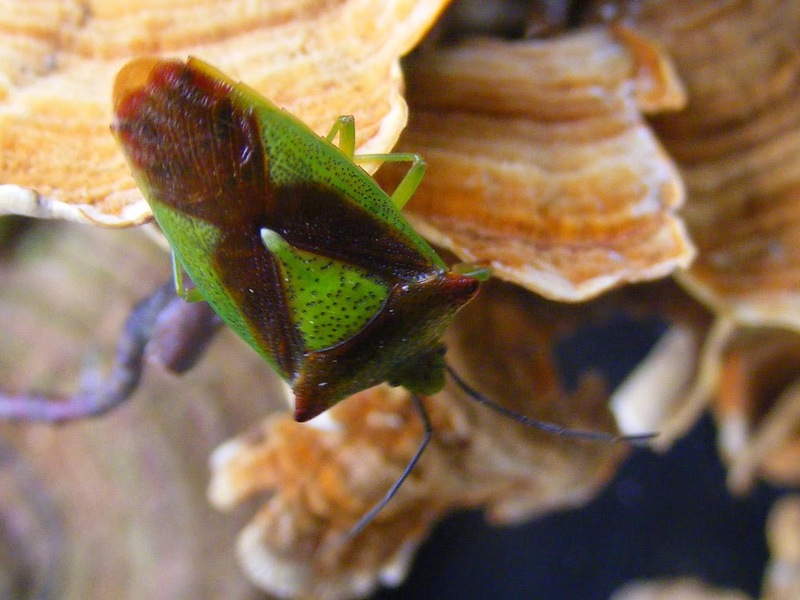 A Hawthorn Shield Bug Acanthosoma haemorrhoidale, an archetypal stink bug, ambling about in the Forest of Loches. Many smells come from a group of volatile organic chemicals called aldehydes. Many people, like me, will describe the smell of coriander as like that of stink bugs. It turns out that coriander shares an aldehyde called trans Decenal 2 with stink bugs. It's an aroma that occurs naturally in foods as diverse as milk, tea and caviar as well as coriander, carrots and pork, and has been synthesised or extracted for use in the food and cosmetics industries. It is described as a fatty orange rose aldehydic floral green and the taste is fatty fried citrus. Some people who think coriander smells like stink bugs loathe the stuff. Others, like me, love it. The difference is how our smell receptors respond to certain aldehydes. For some people, some stinky aldehydes seem to overwhelm everything else. Simon appears to be one of these people. For him, lavender smells of stale sweat, not a mix of lovely astringent herbal scents. Likewise he hates rosemary, sage, cloves, cinnamon, saffron and nutmeg. Neither of us are keen on mint of any sort. Simon is one of a small group of people who say that coriander tastes metallic. He has the same reaction to parsley. This group of people seem to be very sensitive to bitter tastes. Simon will taste the bitter elements in many green vegetables that I don't even notice, or perhaps enjoy. I like a good combination of bitter and sweet, such as good honey has or intense dark chocolate. Endive doesn't have much to recommend it though, it has to be said. 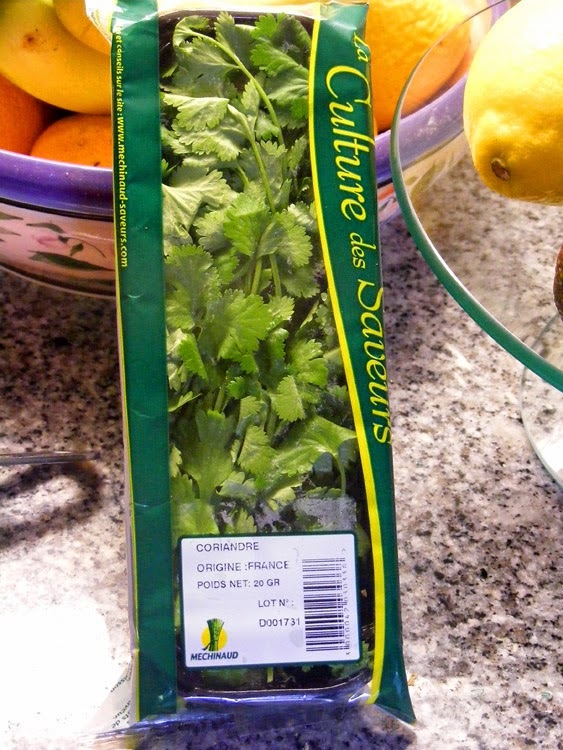 A packet of coriander from the supermarket. Auchan in Chatellerault is one of the few places apart from the specialist Asian supermarket Paris Store in Tours Nord that I can usually rely on getting coriander around here. Sometimes they even have big bunches. The French for stink bug is punaise (='stinker'). A French person will often tell you that punaises smell like stale almonds. Frankly, I don't know what stale almonds smell like, but presumably that cyanidey odour that too much almond essence gives you. These sorts of very intense differences in perception of taste and smell appear to be genetic, involving two genes linked to bitter taste and one to pungent flavours. Nearly half of Europeans have two copies of one of these genes, some have none. A significant number of these people report that coriander tastes soapy. Describing coriander as tasting soapy seems to be the 21st century version of describing them as smelling of stink bugs. I guess fewer people are exposed to stink bugs these days. As usual though, genetics isn't the whole story. Cultural background makes a huge difference, and for coriander lovers or haters this is possibly more significant. If you come from an Hispanic, Near Eastern or South-east Asian background you are much more likely than not to love coriander despite any genetic indicators. Like the cheeses, it's a matter of exposure. 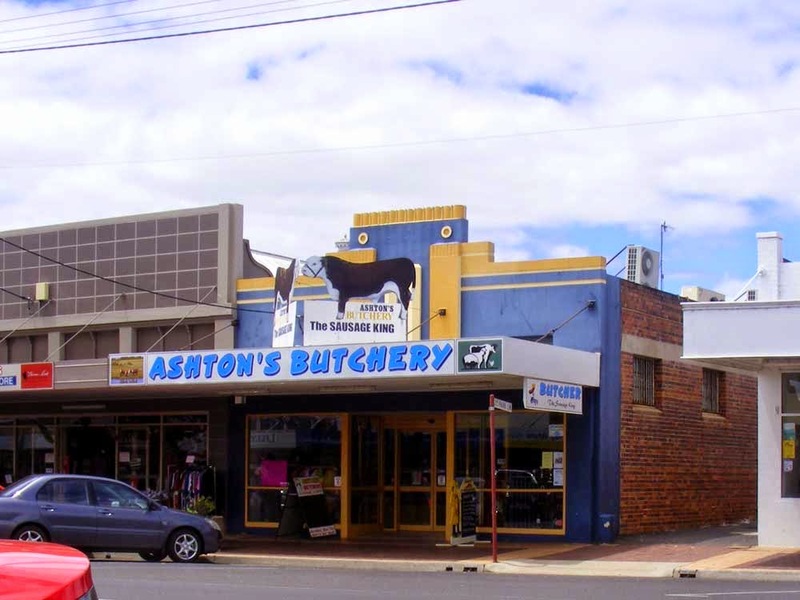 I've blogged about the Preuilly butcher before. A la cuisine hier: Sag Aloo, South Asian style spinach (sag) and potatoes (aloo) served with rice. Salt pork and beans -- soak beans (I used local lingots, a type of white dried beans like cannellini) then cook. Cook the salt pork (I used a jambonneau demi-sel, a brined knuckle, weighing just under 2 kg) in 3 - 4 litres of water with a bouquet garni or several sprigs of thyme and a couple of bay leaves. The pork will take several hours of slow cooking and needs to be just about falling off the bone. Dice two onions and fry them. Dice two carrots and four sticks of celery (I used our homegrown). Break up the pork and discard the bone, skin, fat and herbs. Put the meat back in the cooking liquid, along with the drained beans and vegetables. Cook gently until the carrots are soft. Season to taste with chilli or pepper and serve in bowls as a soup. Au jardin hier: I planted a row each of garlic and onions yesterday. My usual varieties -- Thermador and Stuttgarter Reisen. I'll plant another row of onions soon. The aged orchard neighbours are most impressed with Tim's mowing and my 'hay' raking. Other oldies have gone past the orchard and noticed the cut grass piled high around all the trees and it meets with universal approval as something very good for the trees. I was also interested that today one of them informed me that cutting the way we did is much better than whizzing around on a ride-on mower. This same person asked me what I did with my orchids -- soup? (that was a joke). I got teased a bit because their garlic is already 10 cm high and I am running late as usual. I also got asked if I was going to sow broad beans and peas and if I saved my own seeds. The answer to the second question is no, which induced teeth sucking -- buying seeds is expensive! I said I might sow broad beans to overwinter, but was worried the rodents would eat them. The aged one has a cat, but agreed it was a problem down at the orchard. Just as I was packing up to leave the orchard at about 5.15 pm (sunset at this time of year) a flock of 35 cranes flew over. As usual I heard them first. They were coming from the north-westish and heading south-eastish, for an overnight stop in the Brenne I would guess. Another small flock had gone through an hour earlier, but those I only heard, didn't see. Dear and Loving Sister, I have had a great desire for a long time to hear from you. I thought you would have writen to me, or one of my brothers long ago, but I think you have almost forgotten me or you do not think it worth your while to write to your eldest sister who is now in a distant land from you, but I can assure you I have not forgotten you nor my dear brothers ethor how it would rejoice my heart to see you all once more in time that I might tell you what I have seen and past through since I saw you last and also hear you talk about home and what you have had to pas through I suppose you are all getting on well as touching this worlds goods for we are informed that times are very brisk in England now: But I should still be much more glad to hear from you that you all are walking in the way of heaven for then by the help of God we should soon meet again where we might listen to each other tell how Jesus hath Done all things well. I am happy that Samuel hath chosen the Lord for his portion, happy choice may the Lord keep him in the Slippery path of youth. I have also heard By Mary Luxmore that Sarah Ann hath left Mr Walkey on account of bad health I was very sorry for that, But I do hope By this time she is quite restored and that she and all the family are now enjoying good health. I now hasten to let you know a little about our family and this colony, their is no doubt But you have heard of the Death of Elizth Ann. She was ill only one weekof typhus fever before she left this world, we hope to be forever with the Lord. it was a great treil to me to part with her. Charlotte is married with Mr. Richard Hamm sone of Henery, he is a nice young man and hath bin very Sucksesful at the gold diggings above one thousand pounds worth of gold fell to his share. John is lately married with his uncle Rogers daughter Fanny Ann, the rest of our children are living with us and enjoying tolerable good health. the times are very good in this colony for all sorts of industrious people. wheat is woth one pound per Bushel 60lb. Barley 10/- and strange as it is Oats is 15/- per Bushel 40lb.potatoes 6 pence per pound hay is woth £25 per ton. We shall make this year at least £1500 of hay. labour horses are worth £150 each a pare of Oxen £50 and a good cow £15. Masons and carpenters 30/- per day, labour men from 15/- to £1 per day, Ducks are £1 cupple fowls 10/-, eggs 6 pence each, butter 5/- lb. Money is very plenty I can assure you we have more of it than we should if we had lived in England all our days. John says if we were to give up Bisnes now our incom would be above £700 a year. I hope Dear friends you will not think I name these Bostingly I can assure you I do not it is only to let you know what people can do for themselves and theire familys with the Blessing of heaven on them in this colony. When Elizabeth left England she was married and living in a farmhouse in north Devon. The farmhouse is now a listed historic building I see, but unfortunately I don't have a photo of it. This is a drawing of it done by my sister [photo courtesy of my father]. It is a Devon longhouse with later additions. Neither do I have a picture of the farmhouse where she lived in Australia, and it no longer exists. This is a painting of the homestead commissioned by my uncle just before the building was demolished [photo courtesy of my father]. The Indre River at Pont de Ruan. From this (above) to this (below). The Ash Fraxinus exelsior trees on one of the islands in the river at Pont de Ruan were coppiced earlier this year. The trees grow right on the edge of the island and their roots form a retaining structure preventing the island from being undermined by the flow of water. Ash is often used in this way in France. 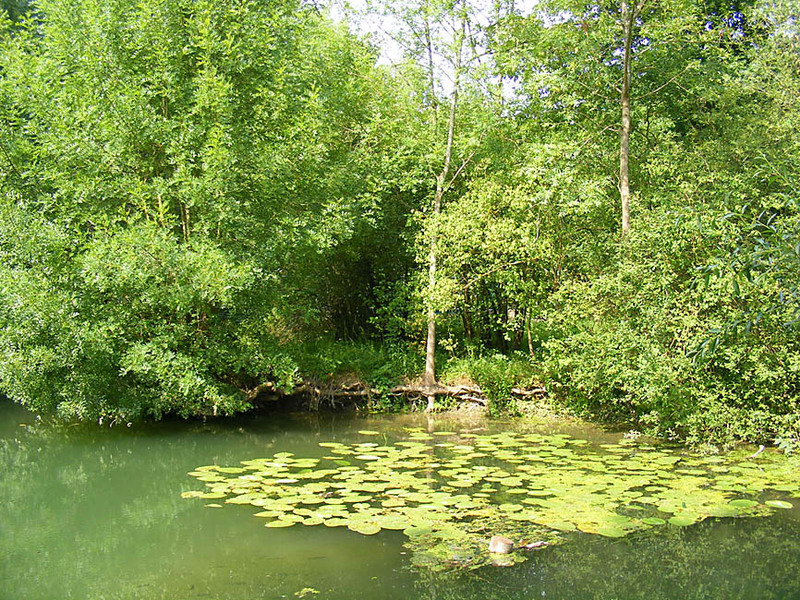 It likes a moist environment and takes well to being coppiced. Coppicing is the practice of regularly cutting trees back to a stump known as a stool then allowing them to shoot again. The word is an anglicisation of couper the French word 'to cut'. The cutting part of coppicing is done every 5 to 30 years, depending on what diameter of regrowth is wanted. The regrowth tends to be straight and often has a commercial value. The straight dense but flexible wood of Ash has been used in France for thousands of years for tool handles -- everything from prehistoric spears to garden forks sold in the brico stores. The reason for coppicing these trees is primarily to keep the landscape stable. It reduces their tops so wind rock is not a problem. 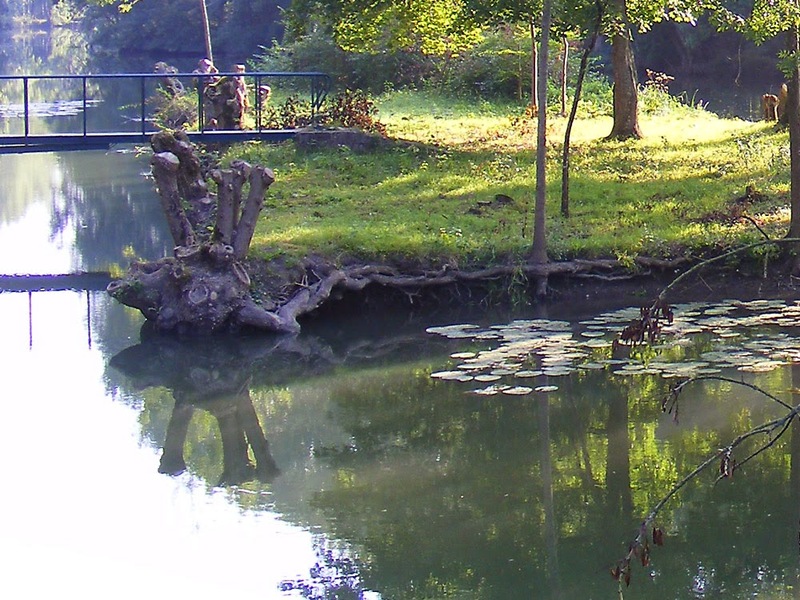 The trees develop massive root systems compared to their tops, which is ideal for stabilising the banks of the island. 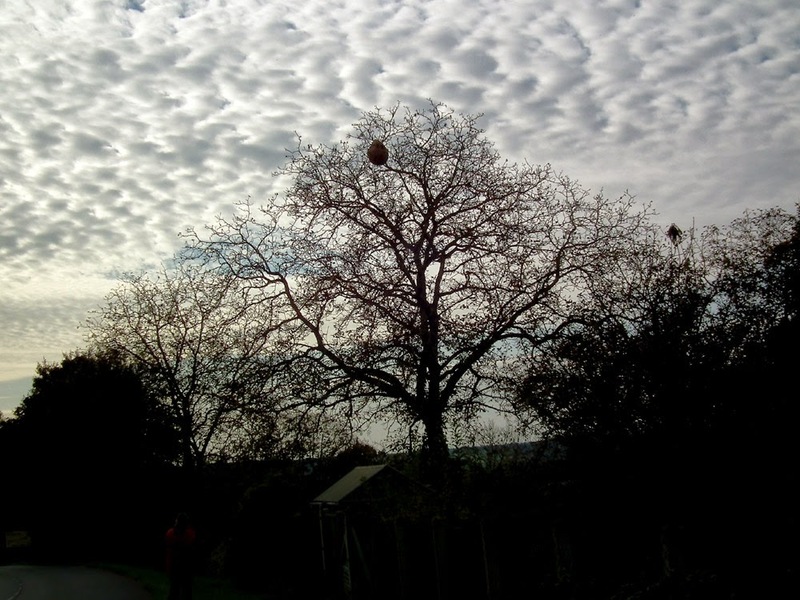 Coppicing has the added benefit that it will triple the lifespan of the tree (or even more). Unmanaged Ash has a lifespan of about 200 years, but a coppiced Ash could live 1000 years. Loire Valley Nature: A new entry has been added for Variable Bluet Coenagrion pulchellum damselfly. A new entry has been added for big rivers habitat. A la cuisine hier: Keema a South Asian curry using minced meat, served with rice. The leftovers will get made into Samosas at some stage. Honey Decline: Chris Luck has written a sobering post on his blog. Every year his honey yield goes down. It's not because he has less bees or because they are unhealthy or dying. It's because there is less and less for them to forage on every year. The bees aren't starving -- yet -- but they can't produce as much excess over and above what the hive needs to reproduce and survive that Chris can harvest. The face of Agnès Sorel has been reconstructed in digital 3D. The result is striking. Is it the beautiful face that caused Charles VII to fall deeply in love and proclaim Agnès the first official royal mistress? It seems very likely. As a rare blue eyed blonde Agnès certainly stood out from the majority dark haired dark eyed crowd at court, but she wasn't just a pretty face. She was educated (speaking several languages for instance), charming and cultured. The king openly involved her in and consulted her on matters of state and it was this public role that gives her historical significance and resulted in her becoming a romantic legend in France (although almost unknown outside the country). 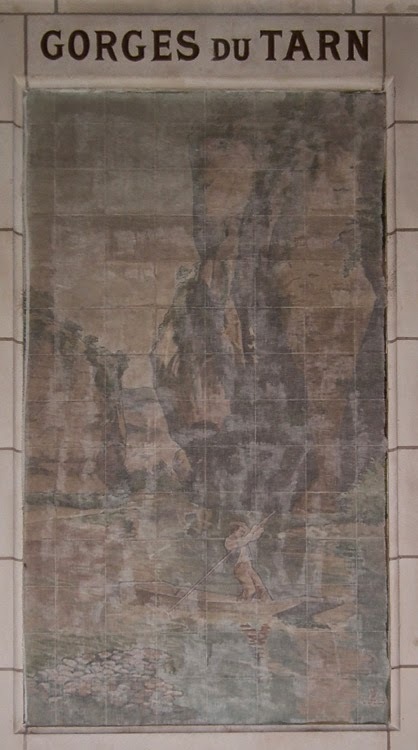 The copy of Jehan Fouquet's painting of the Madonna, for which Agnès is the model, that hangs in the Logis royal in Loches. Philippe Froesch, from Visualforensic in Barcelona, has done many digital facial reconstructions, and the popular television programme Des Racines et des Ailes was the first to reveal the images. The Cité Royale de Loches website has an image of the new facial reconstruction of Agnès and a video of the section of the programme on Agnès embedded*. The programme is in French of course, and is about royal favourites. The resulting reconstruction is impressive. With up to date digital imaging software it is now possible to show very fine detail of the skin texture, hair, eyes. Agnès's face had already been reconstructed in 2005, after her tomb was opened as part of reinstating it in the church of Saint Ours, but in digital terms, the technology used then is ancient. It meant that a scan of her skull already existed though, and the current reconstruction used it as a starting point. Her skull, which is housed in a terracotta urn inside the tomb is very well preserved and that combined with the new technology has allowed a very realistic and detailed reconstruction. The colour of her hair for example was based on the remains of her eyebrows still attached to the skull as well as on contemporary descriptions of her. Dr Philippe Charlier, who examined her remains as part of the 2004 exhumation and confirmed that she had consumed an extremely high dose of mercury prior to her death (about 10 ml) was also involved with this reconstruction. Whether the mercury was a mistake in the dose or a deliberate poisoning is something Dr Charlier refuses to be drawn on. (My money's on deliberate poisoning, at the orders of the future Louis XI.) He did note however that she had malaria, but that it was not the cause of death. 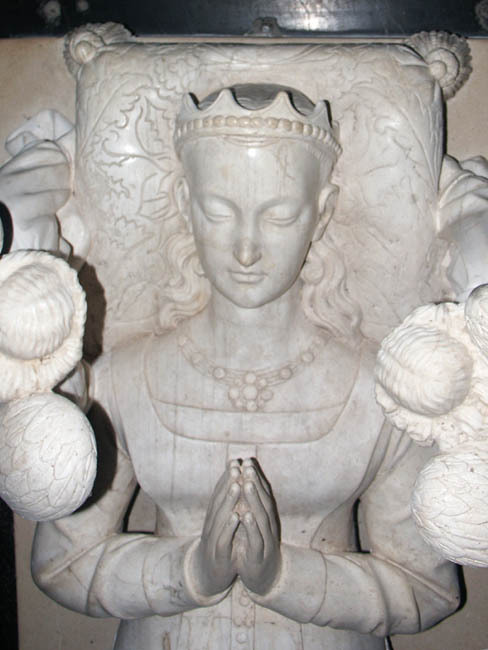 The marble effigy of Agnès on her tomb in Saint Ours church, Loches. This new reconstruction shows a distinct resemblance to the woman in the painting by Jehan Fouquet. The painting is of the Virgin and Child, commissioned by Etienne Chevalier after Agnès's death, but it has always been accepted that Agnès was the model. Jehan would have seen Agnès often in life and probably had many sketches of her. You can see the same large eyes, small mouth and high forehead in the painting and the reconstruction. 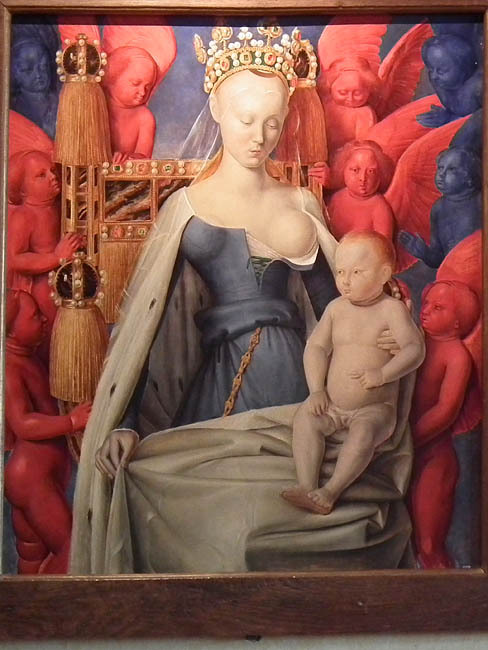 Fouquet's painting also shows us the full breasts of a nursing mother and a slender fine boned figure. Sadly, whilst the technology allows us to reconstruct Agnès's head in full detail, it is unlikely we will ever see a full body reconstruction according to Philippe Charlier, even if we had the rest of her skeleton. Nowadays the only extant contemporary three dimensional representation of Agnès is the effigy on the tomb. This too matches the skull almost perfectly, probably because the sculptor would have based the work on a death mask. The modern reconstructor worked in a remarkably similar way. 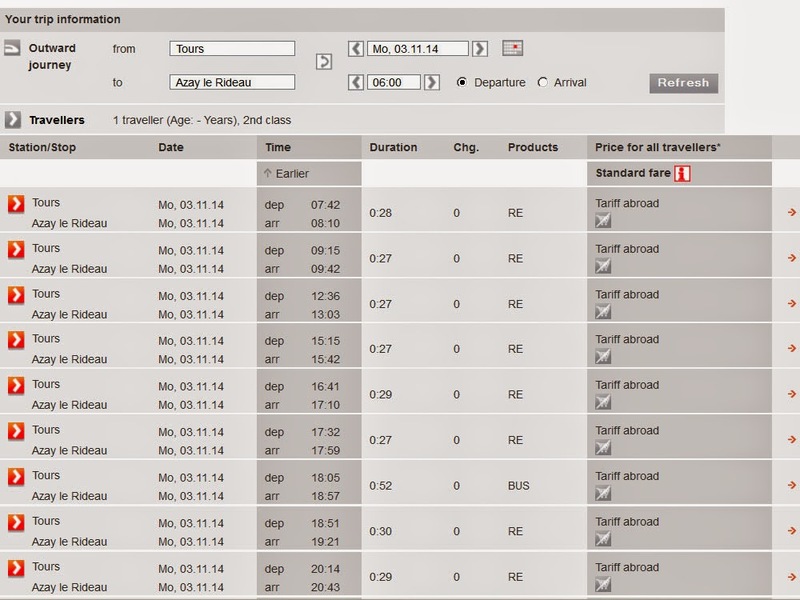 The image is 'sculpted' by hand, the software does not do it for you automatically. Surprisingly, the digital reconstructor relies more on contemporary painted images than on contemporary sculptures for certain information about an historical character's appearance. The reason is that all artists vary in skill, but lack of skill and errors in proportion are more exaggerated in a three dimensional work than in a two dimensional work. *If you watch the video to the end you will see our friend Tony Williams talking about the Brenne. He's an LPO warden on a nature reserve there. A la cuisine hier: Lamb liver, marinated in buttermilk then crumbed and fried. 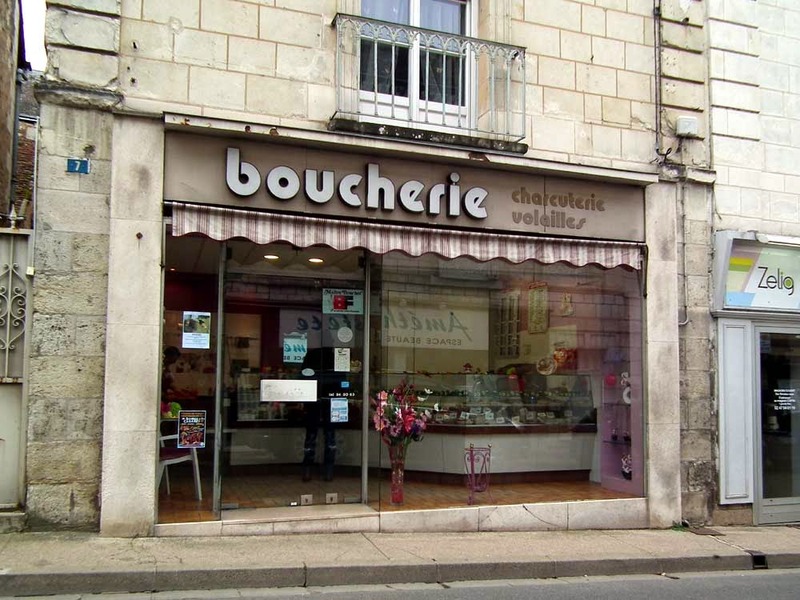 Lamb liver is less than half the price of veal liver but often not available so I was pleased to get some at Loches market yesterday. Served with mashed potatoes and gravy made from onions, bacon and red wine. Followed by squidgy chocolate pudding made by Simon, with custard. A couple of weeks ago someone brought these big yellow mushrooms to a fungi foray. I'd never seen or heard of this species before, but it turns out to be very interesting for more than just its size and yellowness. This is Gymnopilus junonius, otherwise known as the Spectacular Rustgill and it is one of the magic mushrooms. It is hideously bitter (as confirmed by someone on the outing who tasted a bit, then spat) and apparently turns green if you cook it. It contains the hallucinogen psilocybin and a neurotoxin as well as a couple of other mind bending chemicals. One of the various effects of psilocybin is uncontrollable laughter, leading to this species having the nickname of Big Laughing Jim. However, the quantities of interesting chemicals vary considerably from mushroom to mushroom and from place to place. Sadly for all you unreformed hippies out there who can't wait to get out foraging after reading this, the species is more likely to make you very sick than give you a trip. Plus, small ones can easily be mistaken for the deadly Galerina spp. 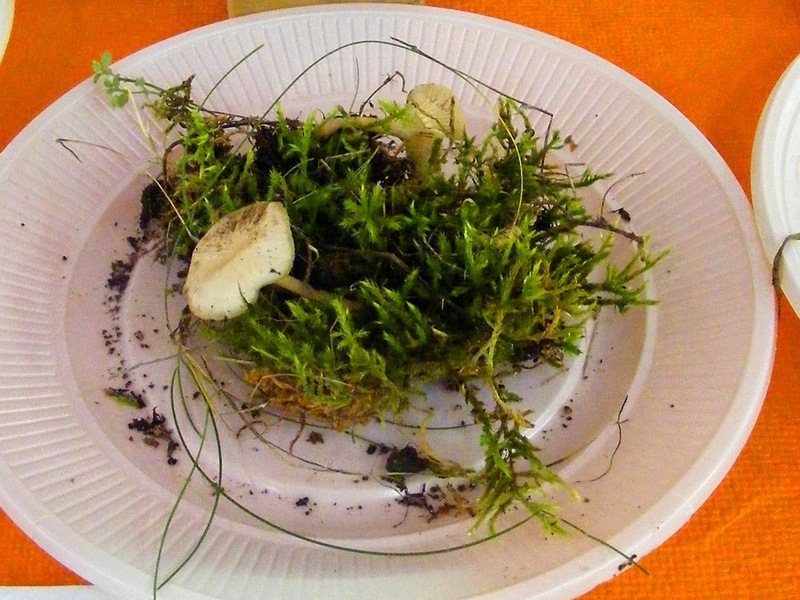 Moss Outing: The Association de Botanique et de Mycologie de Sainte Maure de Touraine has organised a joint outing with the Société des Sciences de Châtellerault to look at mosses on Sunday 23 November. Meet at 2 pm in the carpark for the Lac de la Forêt on the RD910. Coming from Tours or Sainte Maure by the A10 or D910: From the A10 take the Châllerault Nord exit. Take the bypass to the right of the roundabout. Coming on the D910 from Ingrandes: At the second roundabout go towards the A10 crossing the Vienne and at the roundabout, take the second exit on to the bypass. Then follow the bypass (several sets of lights) towards Poitiers. At the Châteauneuf roundabout continue straight through up to another roundabout and go right towards Le Lac. Then continue to the left at the roundabout then right at the following roundabout. 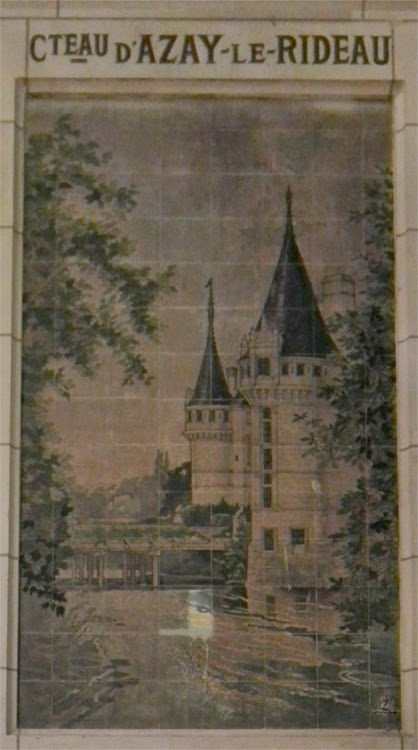 The station at Tours has a series of 18 painted ceramic panels decorating the walls. Their purpose is to beautify the station concourse and entice travellers to the destinations portrayed. At present the panels are badly in need of conservation and a crowd-funding campaign is underway to raise the money to save them. Each panel will cost €8000 to clean, conserve and reattach the tiles to the walls. To donate to the restoration fund go to Ulule Gare Tours. 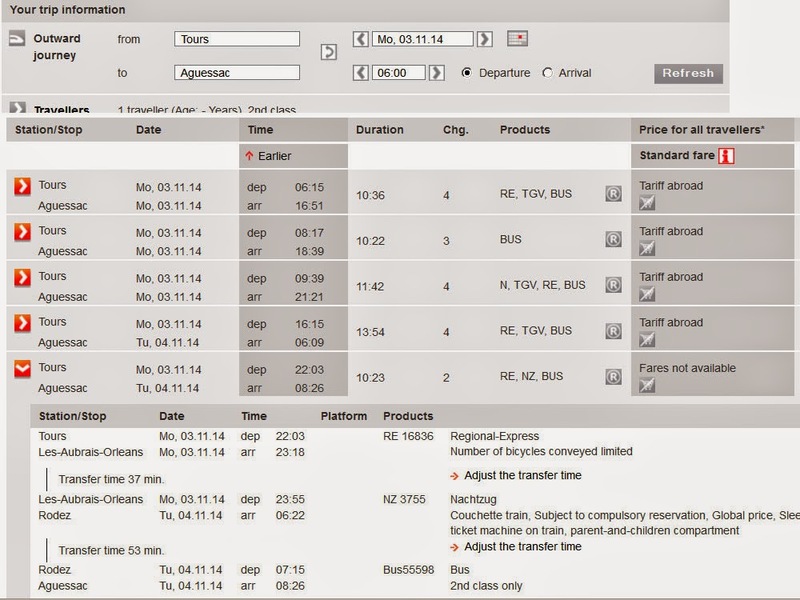 We thought that it might be fun to show one of the panels every now and then, with the timetable information for how one gets there from Tours today. Sadly, getting to the Gorges du Tarn is obviously a long and convoluted journey these days if you want to go by train from Tours, but it does involve catching a sleeper train, so that could be fun. Loire Valley Nature: A new entry has been added for Mosaic Landscapes, a sort of overview of typical landscape scale environments for the Touraine Loire Valley and Brenne. A single photo at present, but more will be added eventually. A la cuisine hier: Tomato soup, made by roasting boring supermarket tomatoes with onions and carrots then pureeing and adding vegetable stock, tomato powder, a dash each of balsamic vinegar and worcestershire sauce and some seasonings. Drop scones, or as you may know them, pikelets, or Scottish pancakes, or dropped scones. I haven't made these for years. I won this gorgeous fuzzy purple sage in a tombola (lucky dip) at the annual Verneuil plant fair in May this year. It was just labelled as sauge bleu, and I was assured it was a most beautiful plant. I love blue and lavender coloured sages so was perfectly happy, even though it was clearly something easy to propagate as the tombola prize room had dozens of them. I was expecting something like an inferior form of Salvia guaranitica, the stunning tall royal blue South American sage which I also have in the front courtyard. What I got was completely unexpected. The flowers are white, with extraordinary fuzzy rich purple lavender calyxes. 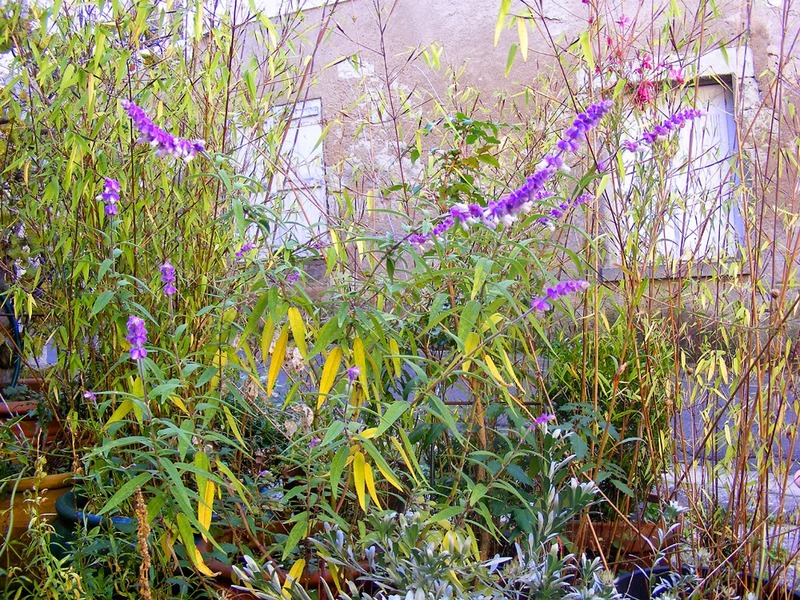 It is still flowering in mid-November! It is clearly a thoroughly gardenworthy plant. 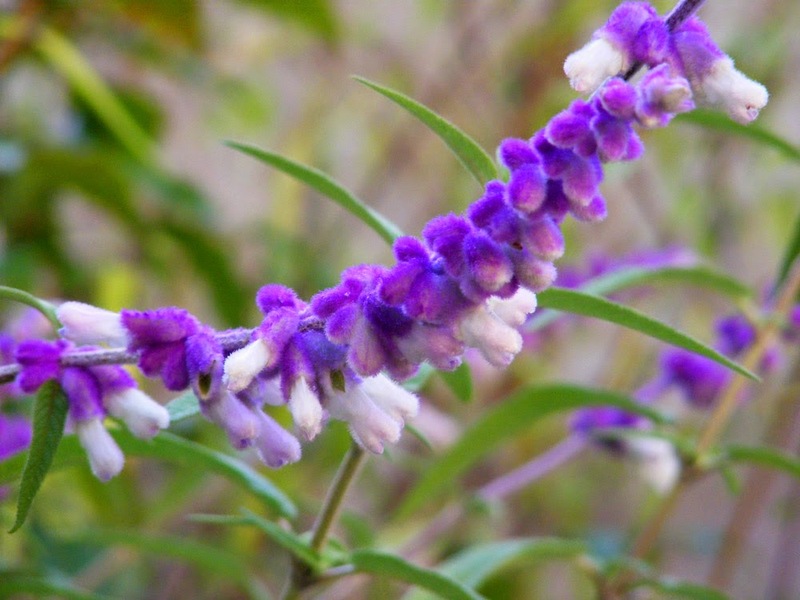 A quick trawl around the interwebs tells me that it is Mexican Sage Salvia leucantha. I'd never encountered this plant before and I am really surprised. Obviously everyone who has one loves it. My only complaint is that in its native Mexico, hummingbirds find it very attractive and will visit eagerly to nectar at the flowers. Why haven't I had hummingbirds? I want hummingbirds. I'll try and propagate it for anyone who reads the blog and has a garden in the Touraine who might want it. Email me if you are interested. Loire Valley Nature: An entry has been added to help you understand and use the extensive system of walking trails in France, with links to sources for maps (printed and online). 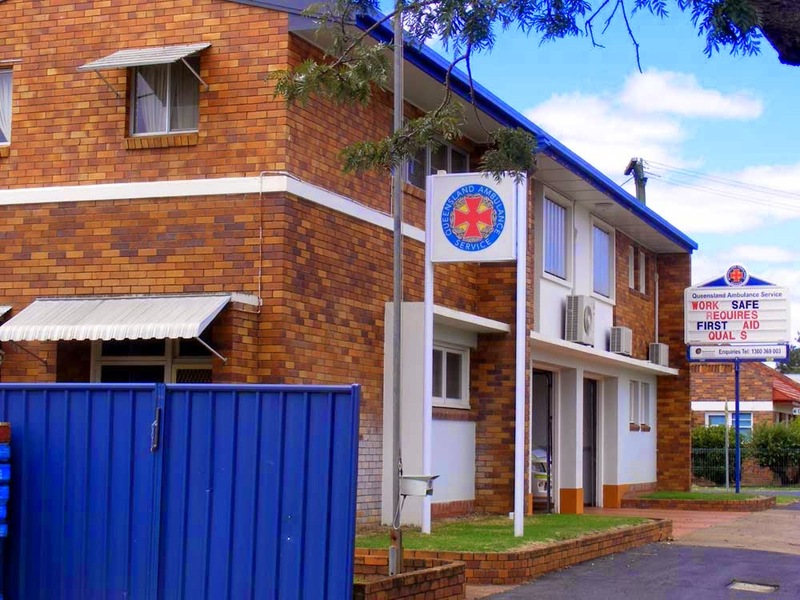 The ambulance service and the people who work for the service are habitually referred to these days as 'the ambos' in Australia. 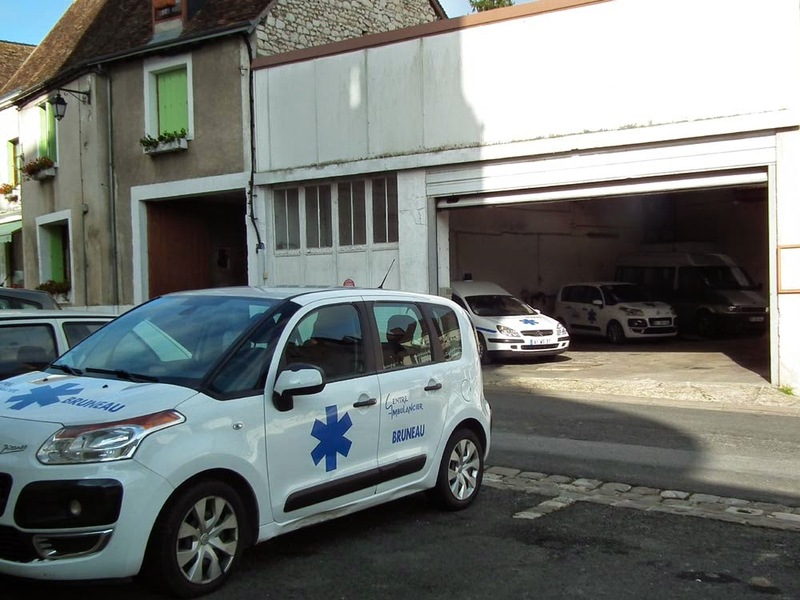 For a brief overview of the comparison between services in Australia and Europe, see this article by an ambo from my home town. 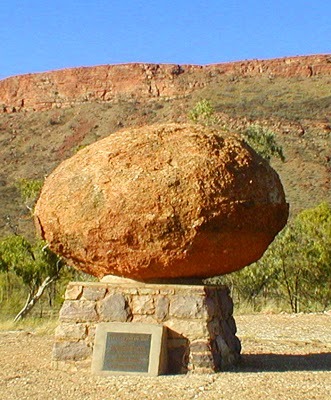 This unusual memorial on the side of the road just outside of Alice Springs is the grave of the Reverend John Flynn and his wife Jean. He lobbied tirelessly for those living in remote areas of Australia to receive the same 'mantle of safety' of services and communications that those on the coast had easy access to. As a result, the Flying Doctor Service was set up. 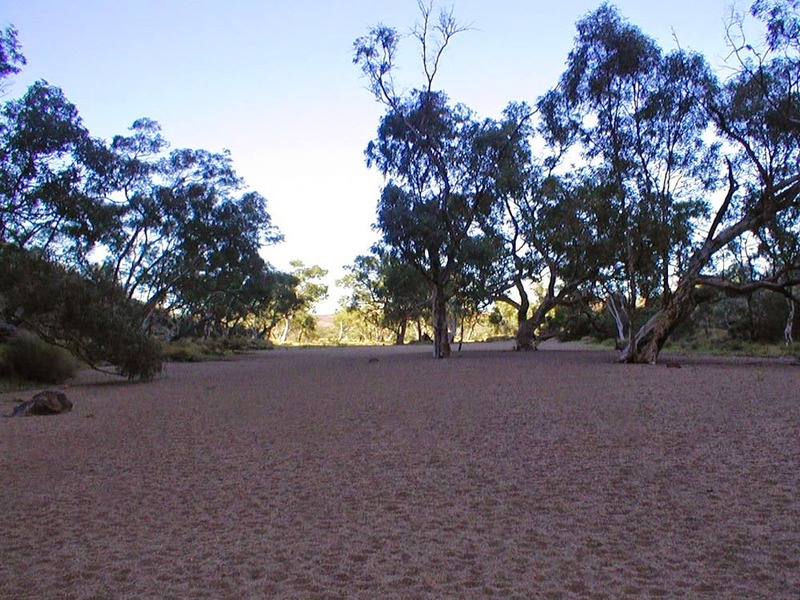 Choosing to transfer to a tiny and remote community in 1911 when he was in his early 30s, he initially set up several bush hospitals. But by 1917 he was thinking of the potential of radio and aircraft for an acute medical service, and the first flight of the newly formed service was achieved in 1928. It was the first air ambulance service in the world, and continues its vital work today. 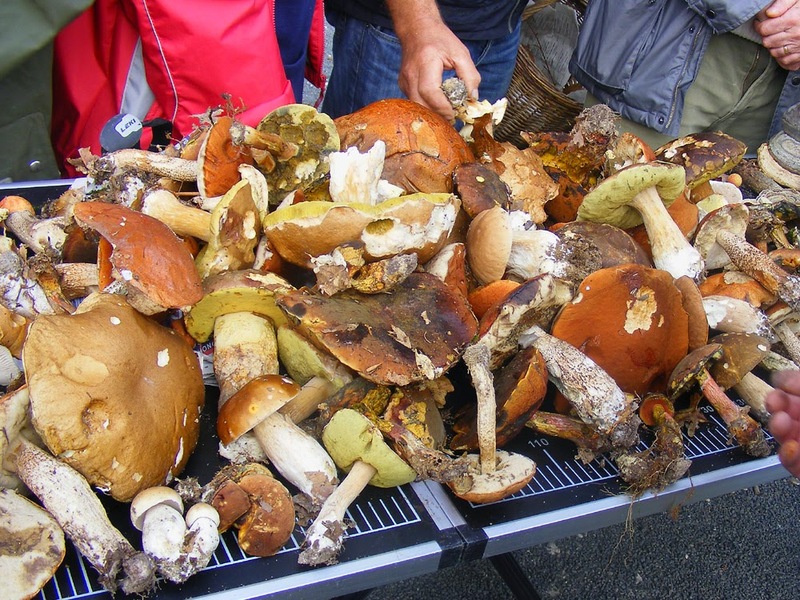 Fungi Foray: The Association de Botanique et de Mycologie de Sainte Maure de Touraine has organised a fungi outing to the Etangs de Narbonne for Saturday 15 November. Meet at the carpark for the Maison pour Tous, Joué lès Tours at 2.00 pm. The fungi gathered will be displayed and identified in the carpark after the outing. From Boulevard Jean Jaurès, turn into rue de la Douzillère. The Maison pour Tous is at the foot of the water tower. 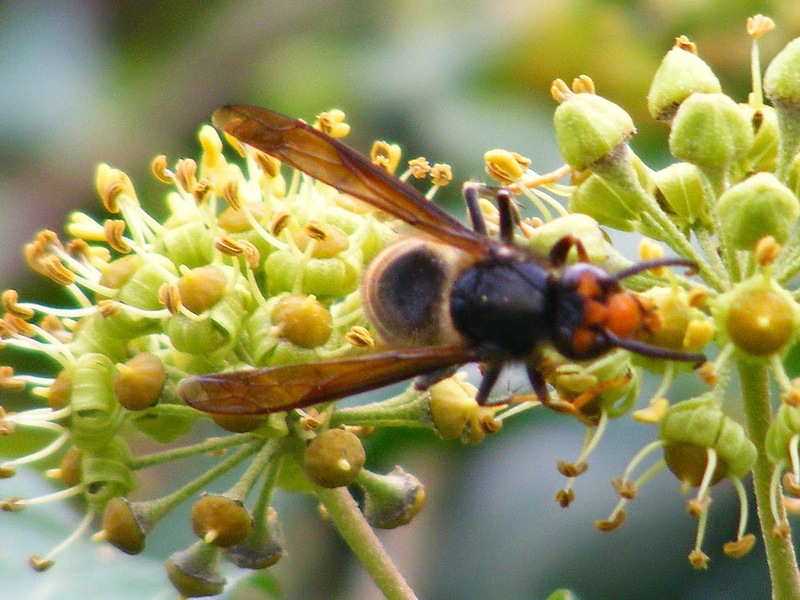 Anyone who has driven into Preuilly from the Loches direction or who reads our friend Gaynor's blog will have noticed that there is a humungeous Yellow-legged Asian Hornet Vespa velutina nigrithorax (Fr. le Frelon asiatique à pattes jaunes) nest in a tree close to the road just as you enter Preuilly. 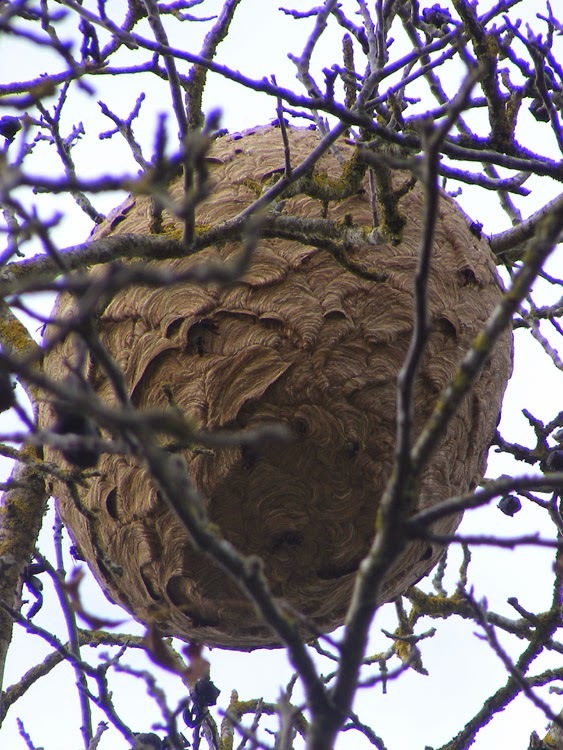 The nest is clearly very active (you can see hornets crawling all over it), and since this species is an invasive alien, you are obliged to report nests to the authorities. I figured someone would already have done so, but I emailed the mairie (town hall) anyway. I wanted to know how long it would take them to respond and what they would do (ie how seriously they would treat it). A couple of days later our friend Dominique Robin, who is on the council, emailed me to say that the mairie already knew about the nest, the landowner had been tracked down and notified that it is his responsibility to deal with the nest. So now it's a matter of waiting to see how quickly the landowner takes to get the nest treated and removed. What I am slightly worried about is that he will attempt a 'home treatment' rather than one of the approved professional pest controllers. Hopefully it will be treated at dusk or early morning before the hornets have left home for a day of foraging, and the treated nest will be cut down and burned so there is no chance for birds to eat the poisoned grubs inside the nest. The nest will have been there all summer, but has only just become visible because the leaves have dropped from the tree. This is typical of how Asian Hornet nests are discovered. They are amazingly difficult to see until autumn. By the time we had finished taking photos dusk was falling on a late October day. A week later, this hornet and some of her mates were encountered feeding on ivy flowers. The nest is in a tree just the other side of a small valley to the ivy, so this hornet almost certainly came from there. As of yesterday the nest is still there. 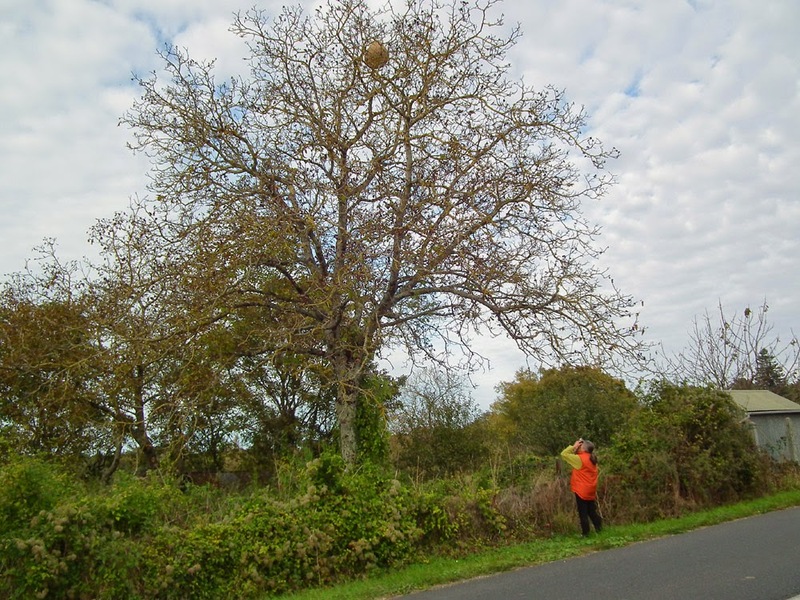 Strange spheres have appeared in the trees and hedges of our region, posing some problems for the locals. Such is the case with a nest of Asian Hornets perched in the branches of a tree as you enter Preuilly sur Claise. The destruction of these nuisances used to come under the responsibilities of the fire brigade. The current legislation envisages that these days the intervention is left to private companies and the fees are the responsibility of the land owner. The Asian Hornet is dangerous to man because of its sting, but is also one of the principle predators of honey bees. The disappearance of bees is a particularly worrying phenomenon. Not only is the apiculture sector significantly reducing, but bees are the principle pollinators of crops and wild flowers. Without these precious insects a large part of the vegetation would no longer exist. Einstein said that if the bees disappear the human race would last no longer than four years. [This is utter rubbish, both in terms of attribution of the quote and the actual facts.] According to beekeepers the principle causes of their disappearance is sickness (brought by varroa mites and foulbrood), pesticides, monocultures and for some years now, the infamous Asian Hornet. With this fourth factor, a problem arises when the land owners don't take up their responsibility, either through negligence or lack of resources. Many people are wondering whether the management of a plague of this magnitude should not be the responsibility of local or regional authorities, or even the national government. 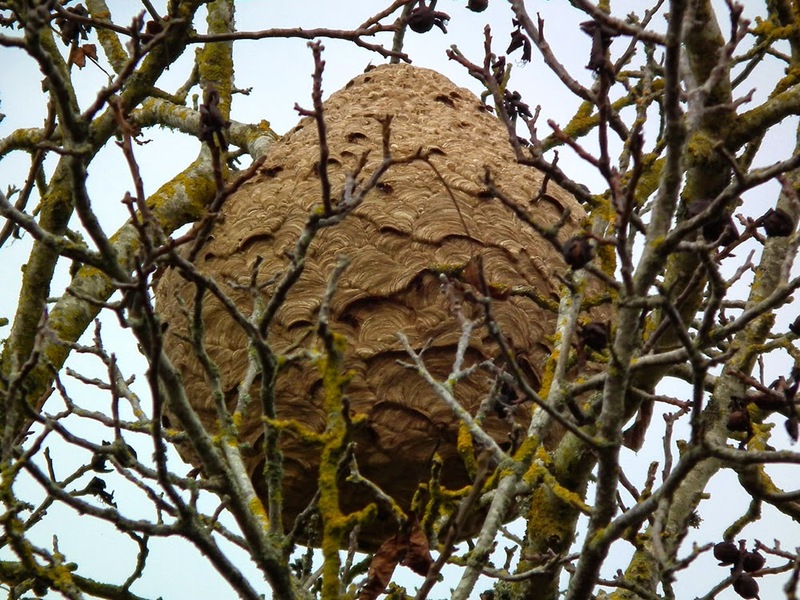 For an alternative view on how much of a threat (or not...) they may be, Chris Luck has written an interesting blog post based on his recent experience of discovering an Asian Hornet's nest in his apiary. He's a beekeeper of many years standing as well as a very fine naturalist, who lives just the other side of the Brenne to us. The other day we were standing around in the garden of some friends and we noticed a pile of flint flakes. We didn't think they had just unearthed a hitherto unknown flint working site, although that is just what it looked like. I thought they must have accidently hit or dropped a flint nodule that was just lying around in the garden and it had shattered. The real story was somewhat more interesting than just an accident though. They explained that last time local archaeologist and expert flint knapper Bertrand Walter had been giving a demonstration the heavens had opened and the demostration was hastily abandoned in a rush to get indoors. Our friends knew that Bertrand is very careful to clear away any trace of his demonstrations after they are concluded. So once the rain stopped they went in to the museum grounds and picked up all the pieces, removing them to their garden. 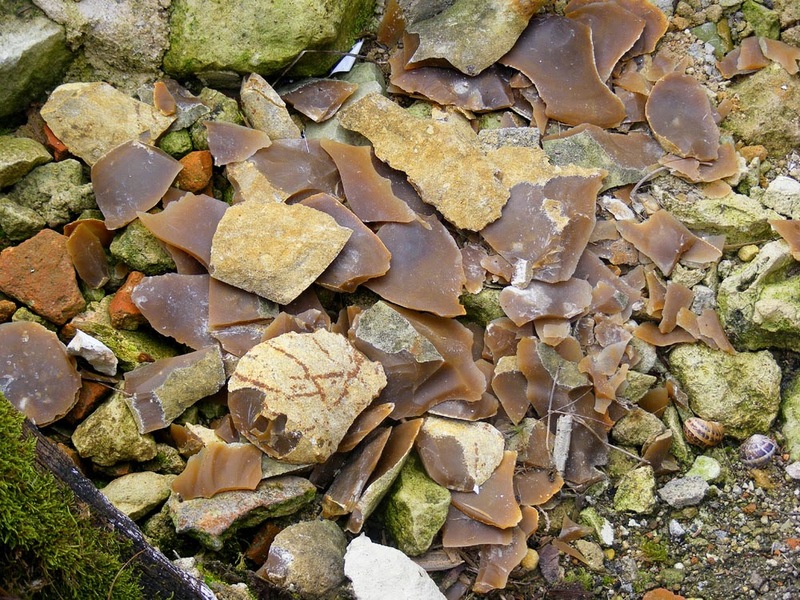 The reason Bertrand is so meticulous about clearing up is mainly because he is worried that unscrupulous people will pass the flint off as genuine prehistoric pieces, but also because flint shards are sharp and could injure someone. Mushrooms on the table after a fungi foray waiting to be identified. The mushrooms in the basket are all edible. They belong to a group called boletes, of which the ceps are the best known and most prized. They grow in forests. There several species in the basket, mostly Orange Oak Bolete Leccinum aurantiacum, but also a few Bay-brown Bolete Boletus badius and Red-footed Bolete Boletus luridiformus. The person who picked them was only collecting for the table and has not touched anything they did not know to be edible. Boletes are the best beginners mushrooms here because they are safe -- none are lethal and the couple that will give you a stomach ache are unappetising looking (coloured or staining luridly) and/or bitter to taste. It's fairly difficult to poison yourself with a bolete. Boletes are distinctive and easy to recognise too. They are fat stemmed, nubuck capped, with thick spongey pores, not gills, underneath. If you are picking mushrooms in the forest, make sure you do it by gently extracting the entire mushroom, root and all. This leaves the mycelia undisturbed and able to produce more fruiting bodies like the mushroom you have just picked. 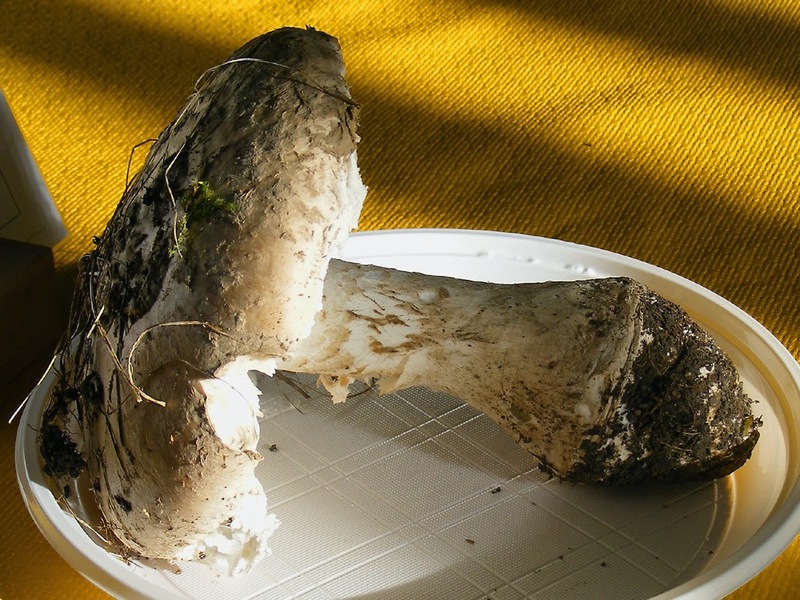 Don't use a rake to gather mushrooms as this will totally destroy the mycelia, and don't pick mushrooms by cutting through the stem with a knife. That leaves a wound which is vulnerable to bacterial attack, which will also kill the mycelia. Don't gather mushrooms from the side of the road or industrial sites either as they are known bio-accumulators, taking up heavy metals and radio-active substances. The quantity here is obviously more than a nice omelette's worth, but never fear -- they freeze and dry well. To prepare them brush off all the dirt and bits of forest floor. Cut the bottom off the stem, then cut the mushroom in half. This allows you to assess how much fly larval activity there is inside. If you are lucky there will be none. In bad cases you may want to discard the mushroom. Otherwise, simply cut out the affected sections. You may also wish to peel off the spongey pores as they hold a lot of water and can interfere with cooking the mushroom. Slice the mushroom, including as much of the stem as you wish. 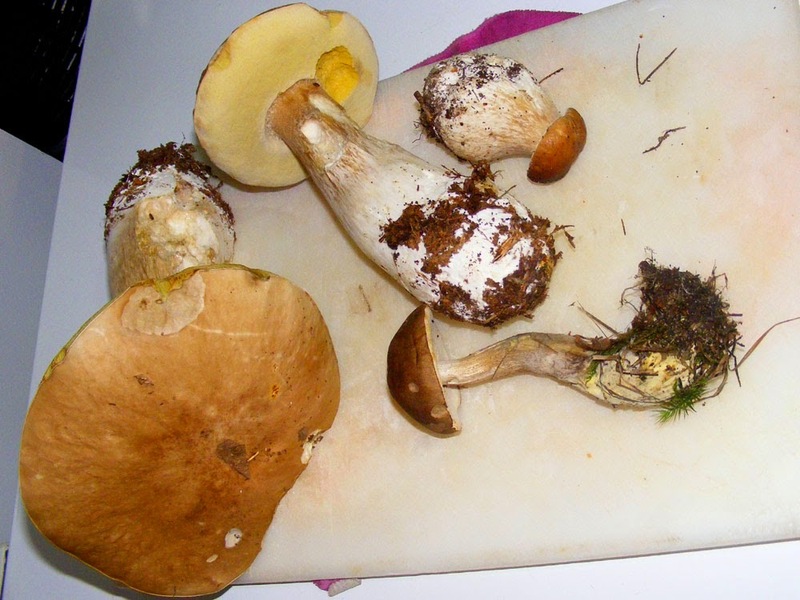 Boletes I picked in the Forest of Preuilly. To freeze them my friend Paul advises preparing as above, then chopping the mushroom up. Spread out on paper towel and leave overnight, then freeze. Cook from frozen. To dry them, slice them and lay on an oven rack at a low temperature overnight, perhaps with the door propped open slightly. Some species will go black, which makes them unappetising looking, but does not affect their flavour. Make sure they are completely dry or they will not store well. To fry them from fresh Paul says that best practice is to cook them until they release their water, then drain the liquid before continuing to cook the mushrooms. Boletes waiting to be identified after an outing in the Forest of Loches. All of the mushrooms in the photo above are boletes too, but they have not been collected with the same aim in mind as the ones in the basket. These have been collected along with every other species of mushroom we could find in the forest. They've shared baskets with deadly poisonous species and with halucinogenic species. No one will be eating these mushrooms. They have been assembled simply to provide a learning opportunity. They will all be expertly identified and learners can discuss them and practice their identification skills in the presence of expert mentors. Then they are thrown away -- to prevent the possibility of an accident where pieces of toxic mushrooms get mixed in with the boletes someone eats.